Christmas in Paris is, like anywhere in Europe, THE most important family event and the occasion for a reunion of children and uncles, aunts and sisters-in-law who haven’t met up for the whole year. Yet on 24th and 25th of December, they share the table and exchange gifts – and they’ll eat some pretty weird things. Oysters, foie gras and a "bûche"
You might think that Christmas eve would be the perfect time to prepare a grand French gastronomic meal in Paris. The truth is, by contrast, that Parisians switch to the classic "repas" mood. 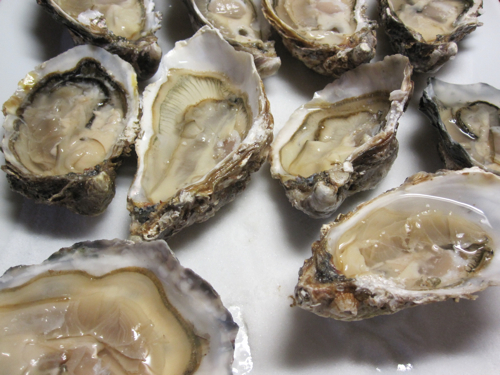 Whether you’re at the table with a professor or a worker - their classic meal paving the way into the holy night will consist of nothing else but: oysters, foie gras and a "bûche" which is a highly refined biscuit roll (take a look at this web gallery). If there’s a real main course (which is normally reserved for the 25th), it consists of poultry. Weeks before the feast, butchers here have capons and poulards on display already, geese and turkeys. Turkeys, yes, even if this really isn’t America. It’s the wine list, presumably, where the professor’s and the worker’s tables will slightly differ. Christmas is the time to dig deep into your cellar to pull out the best bottles you can find. Champagne, of course, to start and with the oysters. 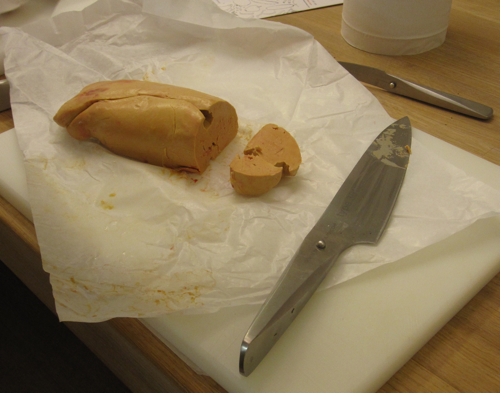 A nice Sauternes would go well with the foie gras, if you only could afford it. And for the rest of the night? You’re spoilt for choice here in France: Bordeaux, Burgundy, Languedoc, Côtes du Rhone...and don’t forget to have a nice cheese platter ready, made of raw milk, what else. Mad about Paris wishes you a merry Christmas, whereever you roam and whatever you’re having!